The Springfield institution was set up from the beginning to emphasize “the practical aspects of kingdom service,” as opposed to the mission of the Synod’s St. Louis facility, which focused on the classical and theoretical aspects of ministry. Concordia students were expected to already have undergraduate degrees. 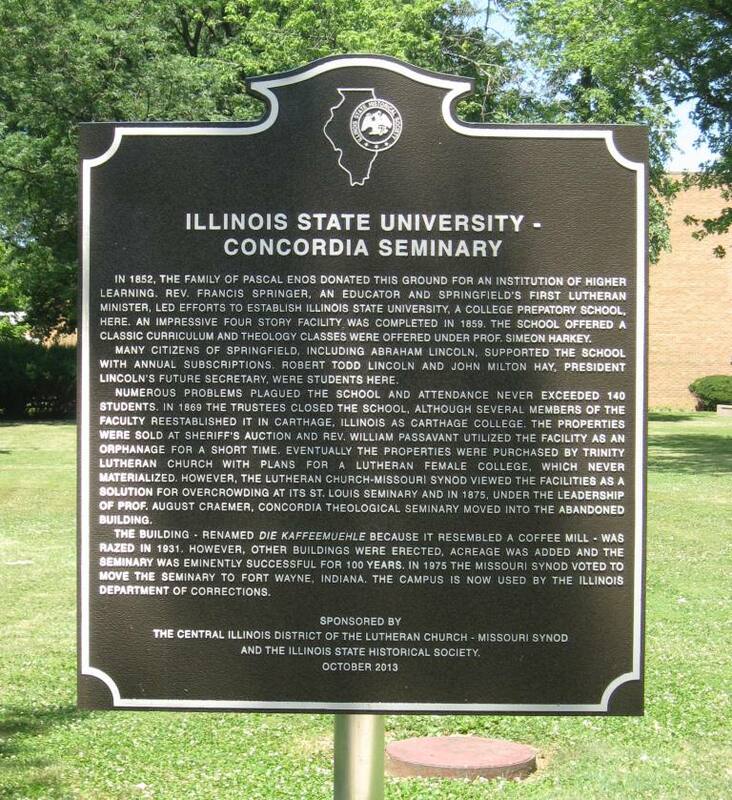 An anniversary program in 1965 estimated that Concordia Springfield had educated 3,500 Lutheran clergy by that point, with another 500 enrolled at the time. His austerity reached legendary status — He pleaded several times with synod to cut back monies for his school; he refused any payment from Trinity; and he kept seminary household expenses to a point of poverty. While he would on occasion exhibit his wrath, it often gave way to a heartfelt warmth and concern for the individual student. 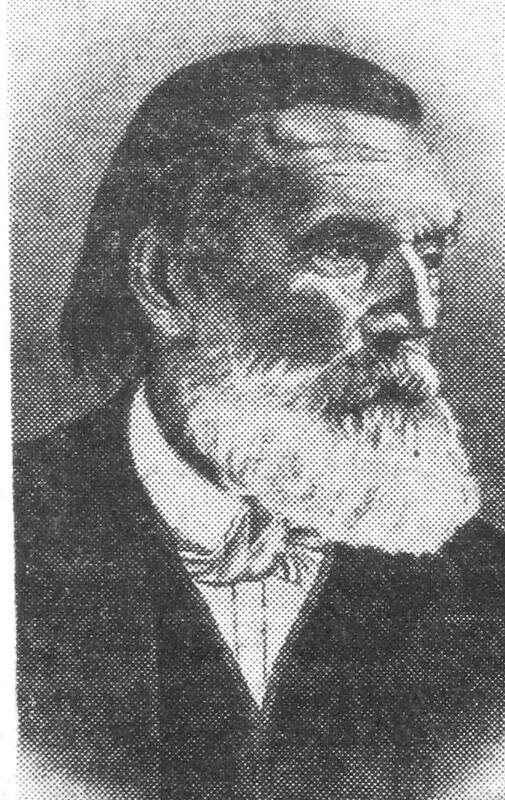 He never cancelled a class; and if he had to miss one for a Trinity funeral or some other function, the class was made up in the evening or on weekends. Concordia, however, struggled with finances for its entire existence, and the Missouri Synod voted in 1975 to move the school to the Synod’s Fort Wayne, Ind., seminary. The state of Illinois now uses the site as the training academy for Department of Corrections employees. 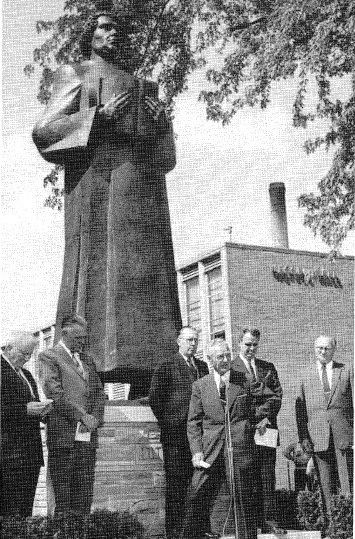 *Photo caption note: Trinity Lutheran’s church history dates the Martin Luther statue dedication as 1951. However, neither Nelson Howarth (Springfield mayor) nor Charles Carpentier (Illinois secretary of state), both of whom are in the photo, was in office in 1951. The dedication actually appears to have taken place in 1957. This entry was posted in Churches, Education, Prominent figures and tagged Charles Carpentier, Nelson Howarth. Bookmark the permalink. I write to you from Concordia Theological Seminary in Fort Wayne, IN. Our former site was in Springfield. Relative to the Luther statue and its date of dedication. Our records here and sited in our printed literature on our history give the date of May 26, 1957 which agrees with your same date. The statue was created by Friederich Adolf Soetebier of Germany. It stands 12 feet tall and weighs more than 2 tons. My mom’s best friend was a cafeteria worker at Concordia. One day a young seminarian came through her line, she batted her eyelashes at him and they promptly fell in love. Unfortunately, the students were not allowed to have girlfriends back then so he was immediately expelled. They got married and had three sons.